Only a few minutes from the airport and within walking distance from the famous club Twin Towns. you have come to the perfect place, our highly experience team of body work therapists will give you an amazing massage that is customised to you and your particular needs . 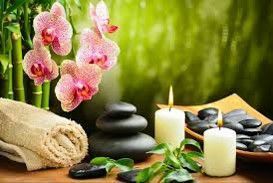 Let our skilled and caring hands soothe away the problem area and help you drift off into deep blissful relaxation world. We are proud to offer an unique blend of expertise therapist and health - centred care for peoples in all stages of life and health. A gift voucher is the perfect way to say thank you and show your care , spoil your friends and love ones by gifting them the indulgence of a complimentary massage to enjoy any of the many styles wonderful treatment or relaxation massage that will convenience come to them. Health fund rebates are available for remedial massage , upon completion of your consultation , you will receive an invoice with you medical fund provider number printed on it , you may claim online, or go to your nearest medical fund outlet.